So... in ~4 months we'll probably get this. Any guesses as to what hellish demon spawn node combos will be? 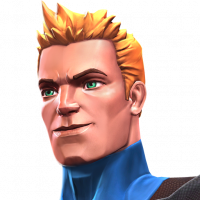 Let's not forget we won't be able to 4*s.
I'm sure we'll get No Retreat with Caltrops and Biohazard. I suspect they may. Could be wrong. I don’t think we’ll be getting a new EQ difficulty for Cavalier. 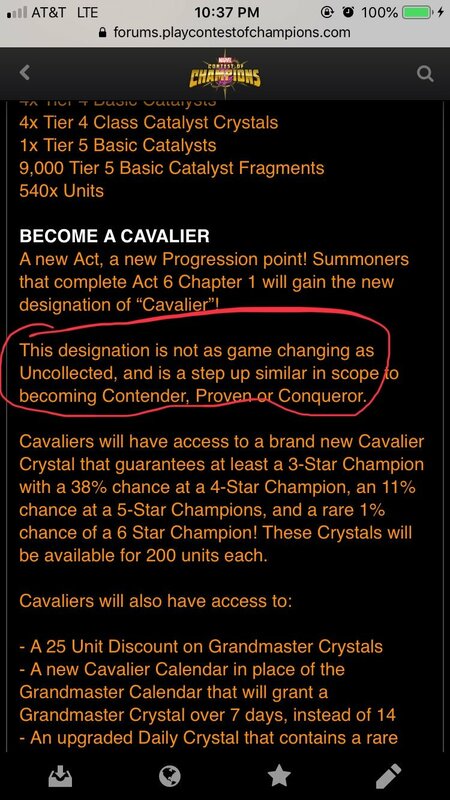 They said that achieving Cavalier is more like the new titles they added for completing acts 2-4, not quite like becoming Uncollected. So if we’re gonna get another difficulty, it would more likely be after the next step up milestone that they actually compare to Uncollected. Every fight will be Ice Phoenix with biohazard, no retreat, unblockable specials, unblockable finale, cornered 300%, and true strike. The bosses will also have special hats. uncollected was out for like a year before we saw uncollected difficulty if i am not mistaken?? ?